This was one of those add ingredients as you go until it tastes good kind of recipe. Most of the time the add-as-you-go recipes don't get posted, because I forget exactly how much of an ingredient I added or I forget to figure out how many servings it makes. This time, I wrote everything down as I went and I am so glad I did, because we loved these tacos. We even ate them two nights in a row and they might have been even better the 2nd night. Prepare quinoa according to package directions. This can be done ahead of time and refrigerated until ready to use. In a large skillet, brown the ground beef. When beef is almost cooked through, add the onions and saute until tender, 3-4 minutes. Add remaining ingredients, including the cooked quinoa. Cook until everything is heated through. Taste and adjust seasonings, if needed. 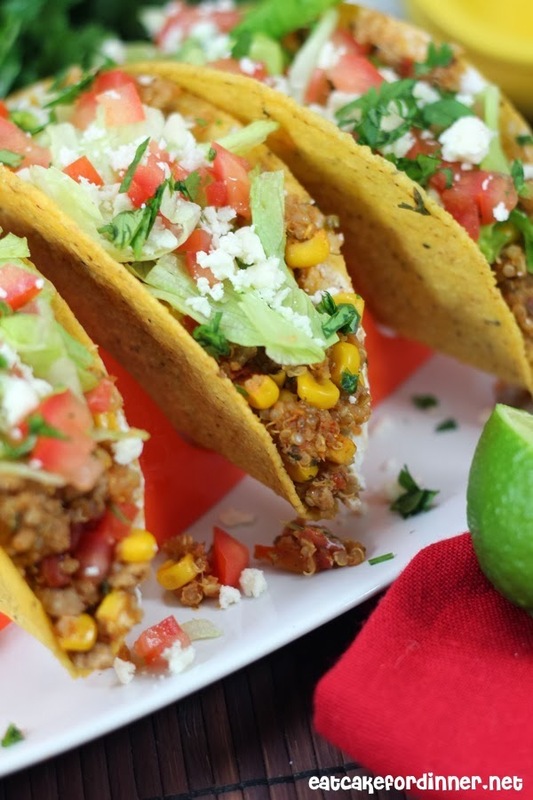 Serve in taco shells with sour cream, Feta cheese, lettuce, diced tomatoes and chopped cilantro or any other desired toppings. Makes 10-12 tacos. Jenn's Notes: If you want to bulk this up even more, you could add a can of black or pinto beans. 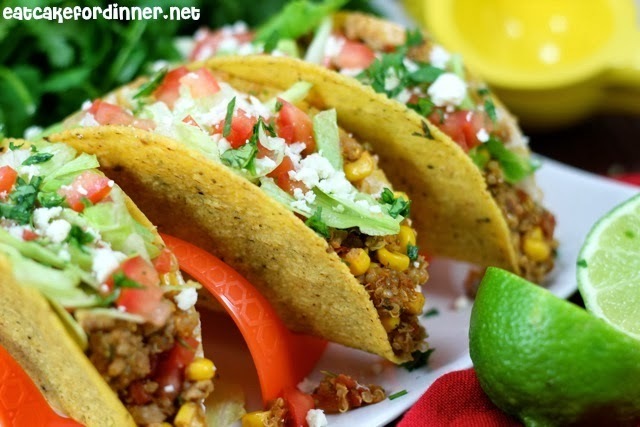 Ground turkey can be used instead of ground beef and it still tastes good. This tastes amazing leftover. Great idea to add quinoa! I might even be able to sneak it past my husband this way! Great combination of flavors! Mexican food is one of my favorites! Awesome! 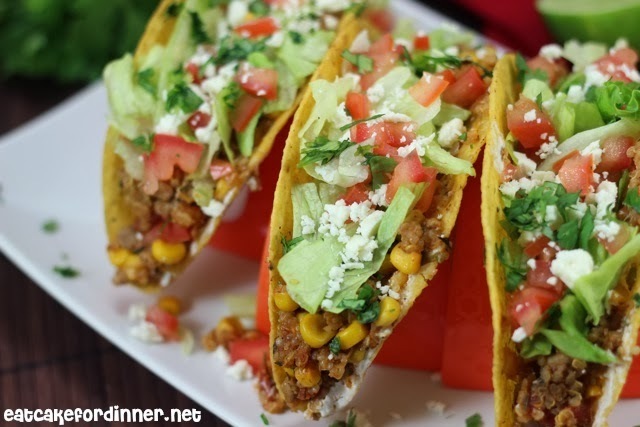 Healthy tacos! I'm ready for something healthy. I'd love it if you linked these to our Super Bowl Party. These are great game day food.